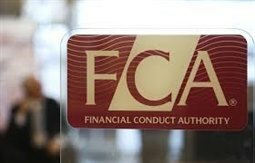 The Serious Fraud Office, working in conjunction with the Financial Conduct Authority (FCA), has now opened an investigation into individuals associated with London Capital & Finance (LCF) which has been accused by the UK’s financial watchdog of mis-selling high-risk bonds as ‘Fixed-rate ISAs’; police have made four arrests. 14,000 people invested in the scheme, which was pulled from promotion by the FCA in December ‘on the basis that the way in which it (LCF) was marketing its bonds was misleading, not fair and unclear’; victims now have no way of knowing whether they'll get any of their assets back after the company then went under a month later. As previously reported by Retail Bond Expert, marketed as a fixed-rate individual savings account (ISA) paying 8% p.a. return over three years, LCF’s mini bond funded loans to small businesses. The FCA is being pressed to investigate its response to complaints from investors after claims that it had been tipped off about LCF’s misleading marketing more than two years before it moved to freeze its accounts in late 2018; FCA launched an investigation shortly after. Nicky Morgan, who chairs the Treasury select committee, wrote the Treasury and the FCA to press for a statutory investigation into regulatory failure; any examination would focus on any mis-steps taken by the FCA but also whether rules around the products at the heart of the scandal are clear enough. If the FCA declines to launch such an investigation, the Treasury can force it to do so. Backed by a slick marketing campaign, LCF’s ‘ISA’ was in fact an unregulated mini-bond meaning that investors are not protected by the Financial Services Compensation Scheme, unless individuals were encouraged to invest by regulated financial advisers. Administrators Smith & Williamson found that LCF paid Surge Financial, a related marketing company, £60m for promoting its so-called ISAs – a massive 25% of the total investment, where normal bounties are measured in fractions of a percentage point; its report is expected by the end of this month. However unwise it may have been to put all their eggs in one basket, or indeed to invest in something that they didn’t really understand many stand to lose everything; particularly hard hit could be inexperienced investors or those unused to investing but beguiled by the fact that LCF’s promotional campaign ensured that it was seen to top ISA ‘best-buy’ tables. Someone with an inheritance and little experience of investing could easily have been beguiled by LCF’s ‘regulation’ and reassuring marketing spiel; if FCA is found wanting, hopefully FSCS will exercise whatever discretion it has to ensure that investors are compensated. FCA confirmed it had received Ms Morgan’s letter and that it would respond but declined to comment further; the Treasury declined to comment. The statement reads, in part: ‘London Capital & Finance PLC (LCF) was the issuer of mini-bonds which it stated it used to make loans to corporate borrowers to provide capital for further investment. The FCA believes there are approximately 14,000 customers invested in its bonds. ‘Issuing mini-bonds is not a regulated activity so firms issuing mini-bonds do not need to be authorised by the FCA. However, when an authorised firm approves a promotion for mini-bonds, they must ensure that it is in line with FCA rules that the financial promotion is fair, clear and not misleading. This means, for example, that risks are appropriately communicated. ‘On 10 December 2018 the FCA directed LCF to immediately withdraw its promotional material on the basis that the way in which it was marketing its bonds was misleading, not fair and unclear. The FCA’s concerns included the fact that LCF bonds were being marketed as ISA eligible when they were not – for further details see the FCA’s Second Supervisory Notice dated 17 January 2019. The FCA immediately commenced an investigation into the firm’s promotions. ‘In order to further protect investors, and because the FCA had serious concerns about the way the firm was conducting its business, on 13 December 2018 the FCA imposed certain requirements on LCF including (a) not to dispose of or deal with its assets, save in limited circumstances (b) to cease conducting all regulated activity and (c) not to communicate any financial promotions. These requirements were imposed pursuant to a voluntary application by LCF."